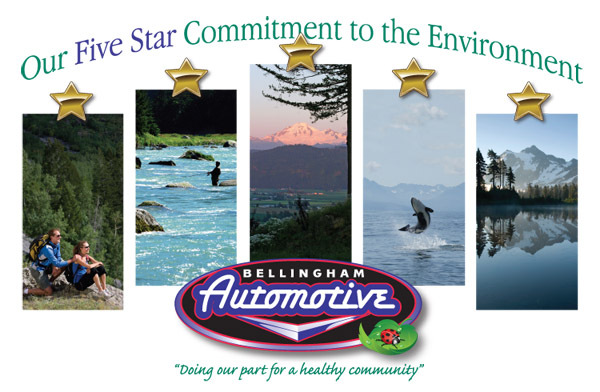 Bellingham Automotive has once again earned a 5 star from the EnviroStars program for demonstrating proper hazardous waste management and setting specific goals to recycle all waste oil. Bellingham Automotive has made hazardous waste and emissions prevention a priority in our operations and management systems. EnviroStars is a nationally recognized program that certifies businesses for reducing, recycling and properly managing hazardous waste. Businesses certified by EnviroStars are given a 2-5 star rating based on their demonstrated Environmental Commitment to reducing hazardous waste.